This week saw C&IT hold its meetLA forum and fam trip, Movenpick Hotels & Resorts celebrate with clients and Alton Towers launch its Galactica rollercoaster. C&IT took a group of 20 UK buyers to Los Angeles for five days for its first US Forum/Fam from 10-15 March. The event included a business forum featuring one-to-one meetings and content sessions for the first day and a half at the JW Marriott LA Live in downtown LA. Virgin Atlantic Airways and Los Angeles Tourism and Covention Board partnered with C&IT for the trip, which attracted representatives from companies including Zibrant, George P Johnson, Informa, CWT, Capita and Eventful. 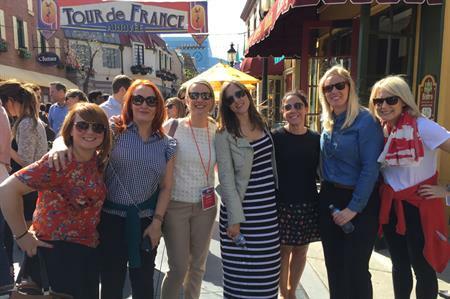 The fam trip included a VIP tour of Universal Studios, including a visit to the new Harry Potter attraction, a wine tasting tour and a trip to the iconic Hollywood. Movenpick Hotels & Resorts held a party on Wednesday (16 March) for its clients at a London apartment in the Hoxton Hotel, Holborn. The evening was attended by more than 80 event and travel industry professionals. Entertainment company Sternberg Clarke arranged the entertainment and provided the acoustic trio ‘Wandering Hands’. Guests who had been asked to nominate their favourite song found themselves taking part in a big group singalong of Pharrell’s Happy. Paul Hutton, who is responsible for the MICE production at Movenpick, gave a short overview of the brand’s new hotel openings throughout Europe, the Middle East and Asia. 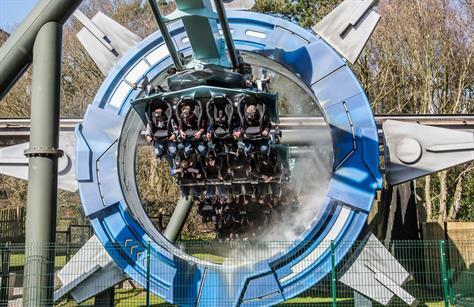 On Thursday (17 March) Alton Towers launched its new rollercoaster experience to a group of VIPs. Galactica is the world’s first rollercoaster with fully-integrated virtual reality. It combines the adrenaline rush of Alton Towers Resort’s flying rollercoaster with the experience of travelling through space.